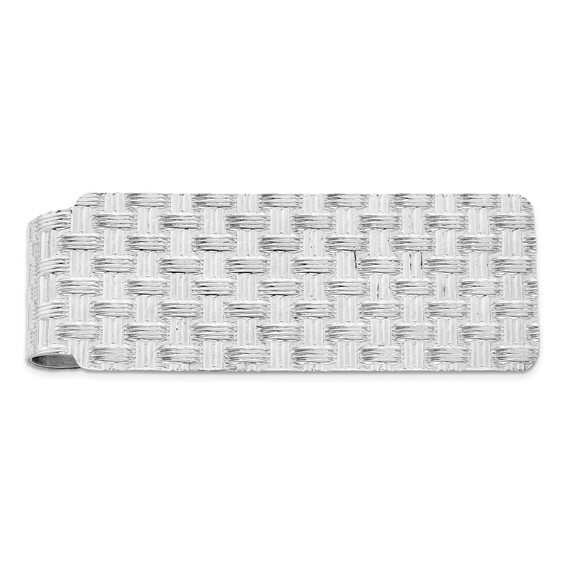 This finely textured money clip is made of sterling silver. Item measures 1 15/16 inches tall by 3/4 inch wide. Weight:13.89 grams.